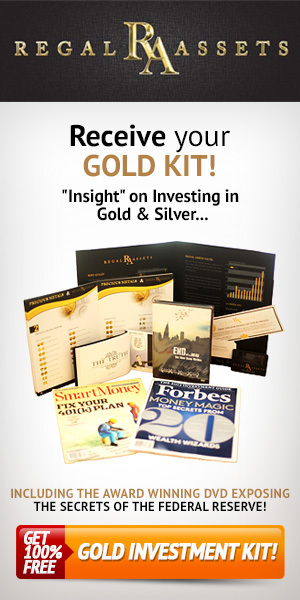 The most popular global investing strategies topics right now – Gold. Gold: I’m still looking for gold to reach $2,500 an ounce – but after a brief pullback. Not only are many people beginning to seriously accumulate the “yellow metal,” but so are many countries, as one of the truly viable alternatives to traditional currencies and a means of diversifying their sovereign debt risk. Silver: The “other” precious metal had been undervalued relative to gold, so it’s been on the move in order to catch up. The relationship between gold and silver is more balanced now, so I’m expecting a shorter-term pullback here now, too. Some people are accumulating silver with the expectation that it will act like gold. But I think the real story that many investors are missing is that silver is used much differently than gold. And that means there’s simply more demand for silver-intensive processes. Natural Gas: We’ve got a lot of it here in the U.S. market. But the challenge we face, like many other nations, is being able to move it around … to where it’s needed. So even though I believe usage is going up and prices remain low, there’s nothing there to immediately move markets. I’d rather concentrate on pipelines and LNG carriers: They get paid to transport gas – even if prices don’t take off. U.S. Stocks: If you’re reading this, congratulations are in order: You’ve just witnessed history being made. At this point we’ve seen the fastest doubling in the Standard & Poor’s 500 Index since Standard & Poor’s (NYSE: MHP) began publishing the S&P 500 back in 1957 – a blisteringly quick 23 months off the March 6, 2009 bear-market bottom. The median rally in stocks since the early 1920s coming out of a recession is about 100%. However, the average rally over the same time period (depending upon which research you look at) is about 123%. But here’s a key consideration: That increase of 100% to 123% generally unfolds over a much longer time frame than the rebound that we’ve just witnessed. So what made the difference this time around? It was the U.S. Federal Reserve and – to a lesser extent – the world’s other central bankers, who have combined to inject massive (read that to mean “record”) amounts of liquidity into the global financial markets. It’s as if the central bankers are saying that they’re happy to have stock prices zoom higher – which is great, except that it creates a whole new set of problems … like new speculative financial bubbles. I have to say here that the only market rallies that come anywhere close to the current one in terms of speed, magnitude and intensity are those of 1932 and 1935, which followed the “Great Crash” of 1929 and which were the result of efforts to shake off the after-effects of the Great Depression. Both of those two gave back nearly all of their gains. * The easy money has already been made. * And you’ve got to use very tight “protective stops” at these levels to protect your gains. The Fed is trying to keep the bear at bay … but there are bear tracks everywhere. When the austerity debate really gets rolling, you’ll really want to be careful – the bears can be very sneaky especially when they’re behind you. Investors and interviewers alike have asked me : “Should we take a lot of our money and put it into faster-growing overseas markets because they are growing and seem less risky? Overseas Markets: These are now “must-have” holdings. And if you’re like many U.S. investors, who are just easing their way in, the best place to get started is with companies that I like to refer to as the “glocals.” That’s not a typo. That’s the term that I use to describe large, U.S.-based multinational corporations whose global operations include a local presence – especially in the crucial markets of China and Greater Asia. Most of these companies are publicly traded, and have their shares listed on the S&P 500 today. Also, people forget that 40% of the S&P’s earnings already come from overseas. And that percentage is growing every day. If you are more aggressive, and already have a solid portfolio in place, it may be appropriate to more-directly invest in those local markets, using some combination of local companies, mutual funds or exchange-traded funds (ETFs). 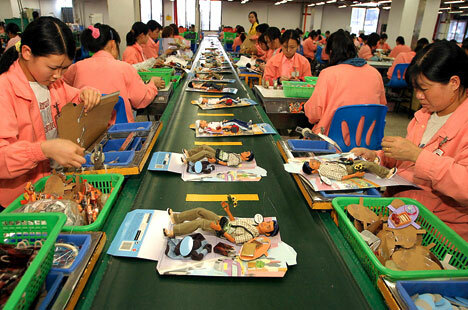 Fast- growers such as Vietnam, much of South America, the Asian Rim and, of course, China come to mind. And here’s how I answer. If you are formulating your own global investing strategies right now, this is a topic that’s crucial to come to grips with. Right now, China is where America was back at the dawn of the Industrial Revolution, and into the 1800s. Development is highly concentrated in the coastal regions, the financial system is maturing and the country’s economy is characterized by rapid growth across the board. And everything – from intellectual property to real estate values – is under tremendous pressure … to grow. So there are some real parallels. China is not going to stop growing anytime soon nor is it going to fail. But it is likely to have some hiccups…again, just as we did with two world wars, the Great Depression, 20 or so recessions and all manner of boom-and-bust cycles. Some of those hiccups will be quite wrenching in nature. The key will be to “follow the money” into the best profit opportunities. And no matter what happens, there will always be opportunities – if you know what to look for. I am convinced that China will affect every asset class on the planet – even if only indirectly – for the rest of our lives. I am also convinced that it represents the single-greatest-wealth-creation opportunity of our time, which is why I have spent a good portion of my life and career in the Pacific Rim – studying, participating and actively investing in related markets. No country has ever bailed itself out by taking the path that we’re following right now – not ever. But that doesn’t mean our leaders won’t try and that we won’t have short-term success. But what will be the cost? Longer-term, the sloshing sound you hear “Inside the Beltway” is our wealth flowing out to sea, being carried away by the tides of financial history. Inflation: It’s already here – and with a vengeance. The government statistics are pure poppycock, which is why I feel like I’m getting mugged every time I go to the grocery store. You probably do, too. For example, in January 2009, the average price of a gallon of gas was $1.83 per gallon. Today it’s $3.13, an increase of 71.09%. Sugar cane has risen from $13.37 to $35.39 per pound, a staggering 164.7% surge. Medicine, services…they’ve all gone up. This is not good considering real median household income has dropped from $50,112 in 2008 to $49,777 in 2009, and may drop further when 2010 data is released. Long-term unemployed figures reflect a 146.2% increase. Depends on your perspective. As I tell investors repeatedly, chaos is merely opportunity in disguise. You can duck your head in the sand and pretend it isn’t happening – as many investors are doing right now – and I’d be hard-pressed to blame you. Or, you can do what my subscribers and I are doing, which is to actively build our wealth. We’re enjoying a lot of success. This is just what the Rothschilds did, when they built their legendary wealth out of the European chaos of centuries past. Put it this way…just because people are frozen by government incompetence, rising inflation, higher taxes, chronic high unemployment and a real estate market that won’t bounce back for decades, your money doesn’t have to be.